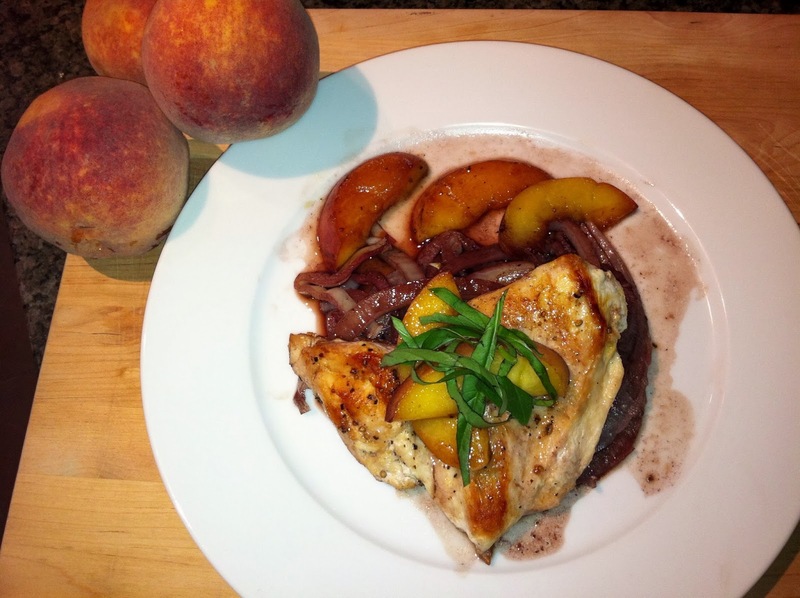 Fennel and Peach Chicken is a very nicely mild sweet dish that tastes very light. The combination of fennel and peach give it just the right taste. Season the chicken with salt and pepper. In a skillet heat 1 tablespoon of the olive oil until hot and add the chicken. Cook over medium low heat for 4 minutes. Turn chicken over and cook an additional 4 minutes. Remove from skillet onto a plate and cover to keep warm. In the same skillet add 1 tablespoon olive oil and add the fennel. Season with salt. Cook for about 7 minutes. Add the wine and cook for 2 minutes. Add the peaches and place the chicken back in. Add the butter and cover. Cook an additional 3 minutes. Remove and serve onto a plate and garnish with the fresh basil. Enjoy!